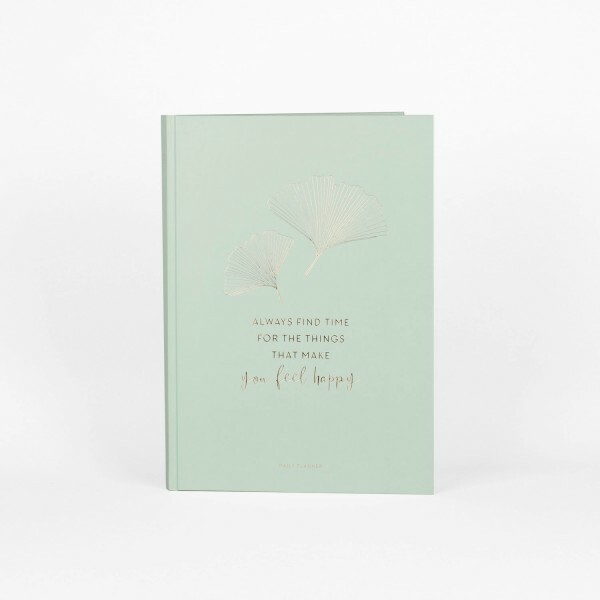 This mint colored undated mindfulness daily planner is just perfect for a fresh start whenever and wherever. The big A4 format of this special calendar offers all the space for your plans on two pages per day. Planning is made easy with a timetable, to-do list, a reminder to stay hydrated and a whole page for your notes.